QuickBasic scrapbook. Source code + text from BBS threads. but they can be found in PostIt! 's header. alone. It will require PostIt! 6.0 to extract the file. with every binary file. That's why it has been incorporated into PostIt! 6.0. ... Shir I ken spel, I grahdooated puhblik hi skul! 'This file created by PostIt! v6.0. '>>> Start of page 1.
' Ability to post and wrap plain code - as text!
' Based on MsgSplit by Scott Wunsch and Victor Yiu.
' file, from Victor Yiu!
' To enable the posting of compressed listings on a text only net.
' get the original binary file.
' default value will be used for it instead.
' all the pages together and run it through PostIt!.
' Now, all line lengths will remain constant, even with compression.
' It results in less unnecessary carriage returns and `G"' lines!
' Victor Yiu nominated & appointed the keeper of PostIt! by Zack Jones.
' Version 5.1 speeds the binary decoder up and cleans the PostIt!
' source code enormously. Decompression routine rewritten.
' Message splitter's tab stop expansion is now user modifiable.
' code had to be added on to handle compression.
' programs, PostIt! can even handle quoted strings properly.
' of the input filename. The default output extension is now "BAS"
'>>> Start of page 2.
' it is due! Bells and whistles, boys!
' 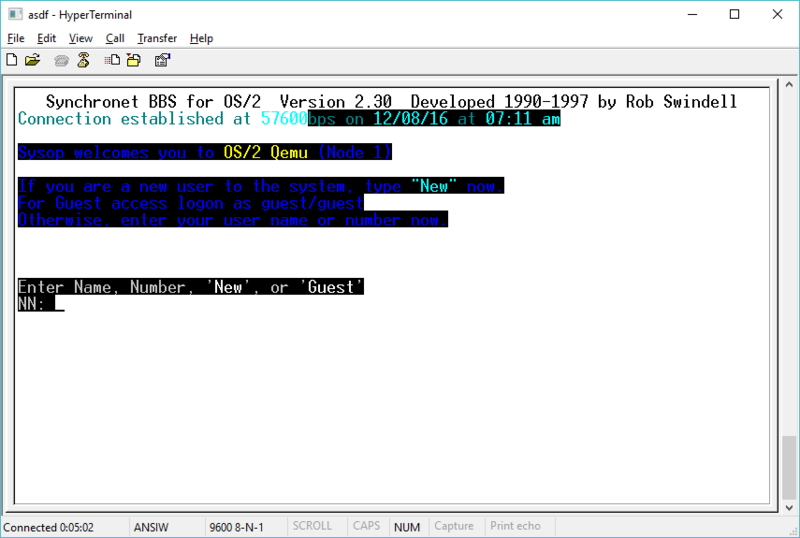 REMmed out for this version to work with QBasic.
' program, don't load them into QB and resave them.
' The output files created by this program should be "echo safe".
' garbled, then some of the output file may be still extractable. '>>> Start of page 3. DIM SHARED Lines$(1 TO 24), Shift(5), Proplr$ ' global vars. Good$ = Good$ + UCASE$(Good$) + "0123456789#$"
PrepareFile ' open file, print header, etc. PRINT USING "Elapsed time: ##.# secs. "; T! PRINT " File not found." '>>> Start of page 4. PRINT SPC(22); "Decoder revisions by Jim Giordano." PRINT SPC(19); "Graphical & user interface revisions by"
PRINT SPC(20); "Mark H Butler and Quinn Tyler Jackson." PRINT SPC(21); "Text code wrapping by Scott Wunsch." PRINT SPC(16); "Compression & new script format by Victor Yiu." '>>> Start of page 5. PRINT "Examining "; SourceFile$; "..."
PRINT "Loading "; SourceFile$; "..."
IF EOF(1) THEN GOTO ErrorReading ' end of file already? CASE "a" TO "z", "A" TO "Z", "#", "$", "(" TO "9"
IF NxtNum = 0 THEN GOTO ErrorReading ' none? Error! PRINT "Decoding "; SourceFile$; "..."
'>>> Start of page 6. PRINT NewFile$; " successfully extracted." PRINT "Bad checksum or incomplete script!" A = 8192 ' PostIt! 6.0 script? '>>> Start of page 7. PRINT " on this file." PRINT "Binary file exceeds maximum size of 24K!" A$ = "Expand tabs to how many spaces ? " A$ = "What is the destination prefix (max. 6 chars.) ["
'>>> Start of page 8. Null$ = CHR$(0): SpaceBar$ = " "
Insrt$ = Null$ + "R": Delete$ = Null$ + "S"
LeftK$ = Null$ + "K": RightK$ = Null$ + "M"
Home$ = Null$ + "G": End$ = Null$ + "O"
'>>> Start of page 9. Proplr$ = CHR$(179) + "/-\"
L& = FileLength - CurrentByte + 1 ' what's left? '>>> Start of page 10. '>>> Start of page 11. IF Row THEN LOCATE Row, Col: PRINT " "
PRINT #2, "'>>> Start of page"; STR$(OnMsgNumber); "." PRINT #2, "'This file created by PostIt! v6.0." '>>> Start of page 12. Buf$ = LEFT$(Buf$, WrapPoint - 1) + "_"
'Converts a number to a string lacking a leading space. 'Get destination prefix & extenstion. '>>> Start of page 13. PRINT #2, "~PostIt! 6.0~"; RealSource$; "~"; "Script starts"
'Print the first 3 lines of the decoder. Num2Str$(CheckSum) + "~" + "End"
PrintLine "IF S THEN A$=LEFT$(A$,S-1)+STRING$(Q,97)+MID$(A$,S+1)"
PrintLine "LOOP WHILE S:NEXT:C$=C$+A$:END SUB"
'if the page length is exceeded. '>>> Start of page 14. 'Adds a character to the output string. Work$ = Work$ + "/"
'>>> Start of page 15. DO WHILE CurrentBit > 5 'have at least 6 bits left? EXIT SUB '*** no use in doing it if it's mono, right? PRINT " PostIt! Version 6.0"
PRINT " Freeware by Rich Geldreich, 1992-1993." PRINT " Decoder modifications by Jim Giordano." PRINT " User interface and graphics by "
PRINT " Mark H Butler and Quinn Tyler Jackson." PRINT " Text code wrapping by Scott Wunsch." PRINT " Compression & new script format by Victor Yiu." '>>> Start of page 16.
' friendly as possible with a little text mode window magic `eh? LOCATE 4, 11: PRINT "NOTE:"
" binary files in text"
" of its versions is"
" should be ON TOPIC"
LOCATE , 10: PRINT " source code in the Fidonet QUIK_BAS echo." 'edit to remove junk, and run!